Folklore is one of the forms of arts and crafts. 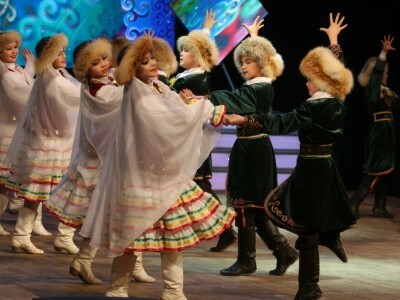 Genre originality, wealth of the Bashkir folklore are well-known. It was admired and recorded by the tens of regional ethnographers, scientists, writers such as P.M.Kudryashev, V.I.Dal’, H.G.Ignat’ev, S.G.Rybakov, etc. The representatives of more than 100 nationalities live in Bashkortostan. They have become one family, they have learned to value friendship, help each other in need. Interethnic concords, traditions of good neighbourship are their common merit. Priorities of a public national policy in the republic are free development of all peoples, preservation of national languages, original national culture. It provides a balance in international relations, the atmosphere of confidence and mutual respect, the realization of the complex of state programs f.e. : the people of Bashkortostan 2003 – 2012, the program of preserving, studying and development of languages of RB, the program of studying, rebirthing and development of folklore of the people of RB.